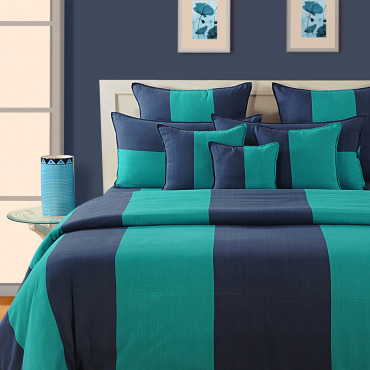 Welcome the posh & contemporary flavor in your abode with Ritzy Bed Sheet. 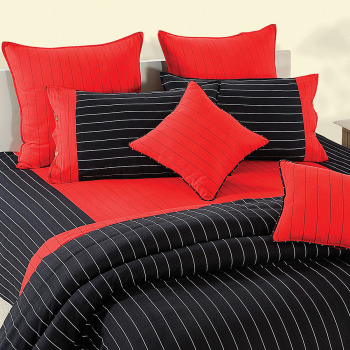 Designed for the contemporary homes, this pure cotton bed sheet is very suave and delightfully admirable. 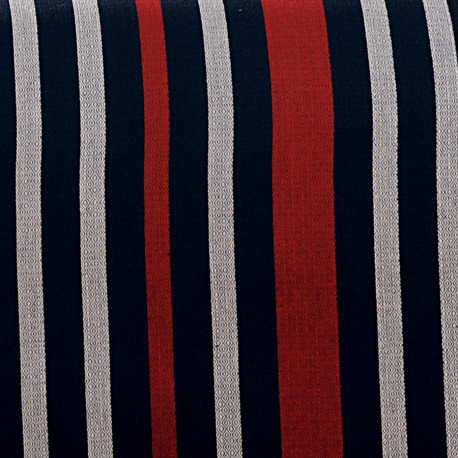 Decorated with navy blue & red stripes, it recalls European touch. 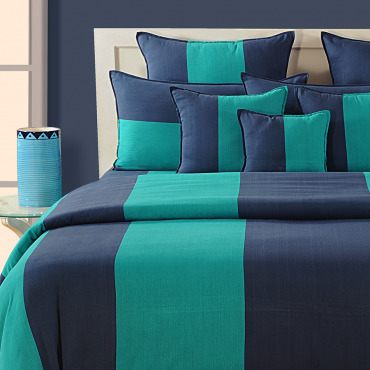 This bed sheet is for the modern Indian of today. 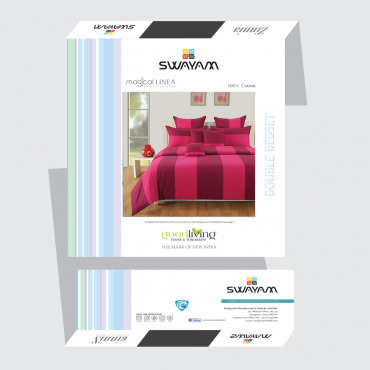 You can buy ritzy bed sheet, ritzy bed linen set & pillow covers from our online selling portal Swayamindia.com and bring an outstanding appeal in your bedroom. 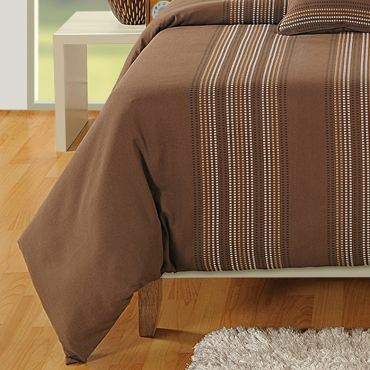 This bed sheet is yarn dyed and has twill weave base fabric. 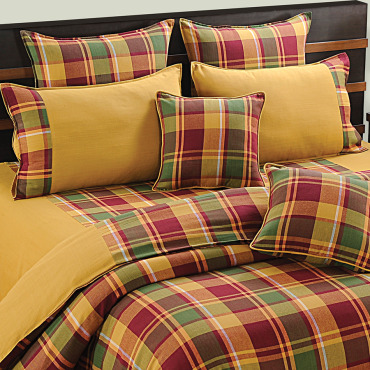 The high thread count & mercerization has given this bed sheet soft & shiny appeal. 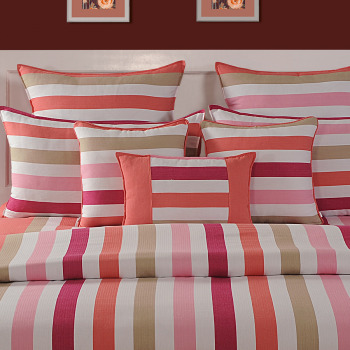 This bed sheet is sure to add a decorative accent to your décor when you spread it on your bed. 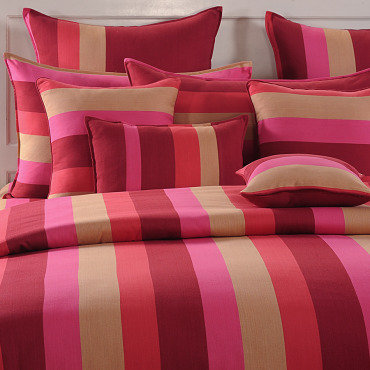 Inspite of being a pure cotton, it is 100% color fast. 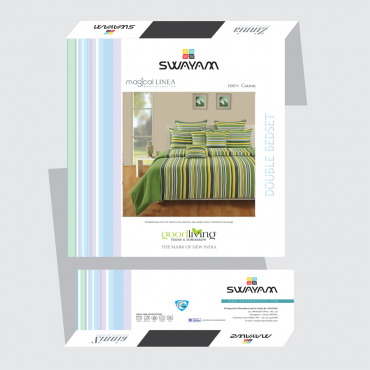 You can buy ritzy bed sheet, ritzy bed linen set & pillow covers by simply logging on to our website, swayamindia.com at best prices. 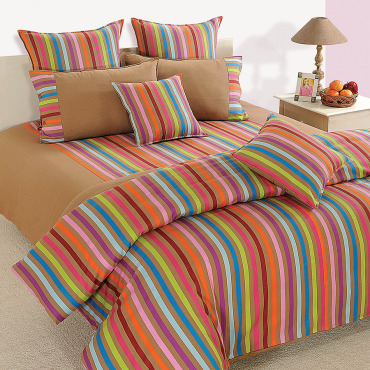 This bed sheet is available in single & double size with matching pillow covers. 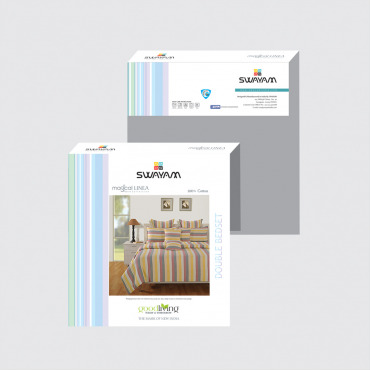 We also provide facility of customization wherein we can manufacture the product as per your requirements. 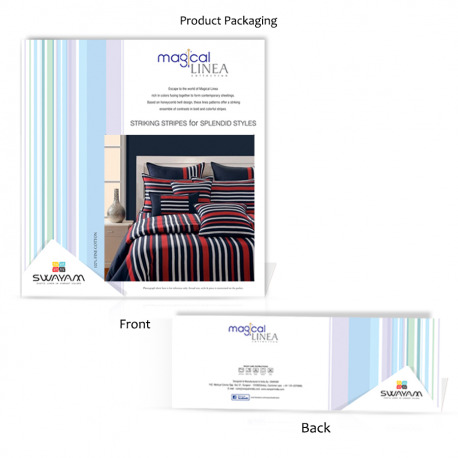 Just fill a simple form at our website & we will get back to you. 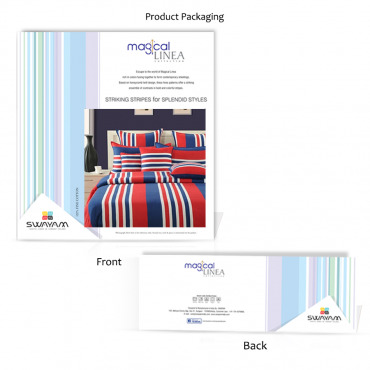 We can deliver the customized product within 3-6 days. 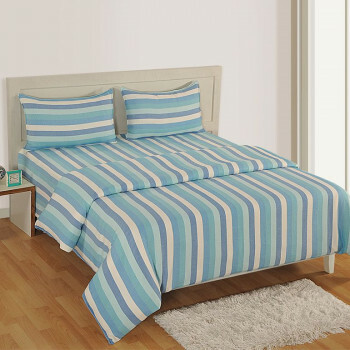 In case the product has some default or is not as per the specifications mentioned at the website, we have a provision wherein you can return the product. 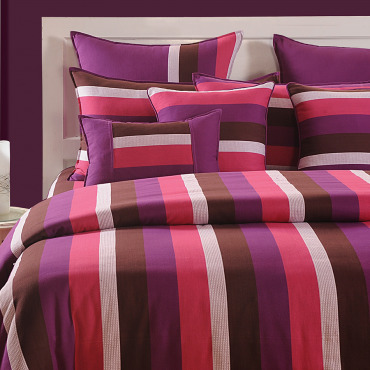 It is our easy 30 days return policy. 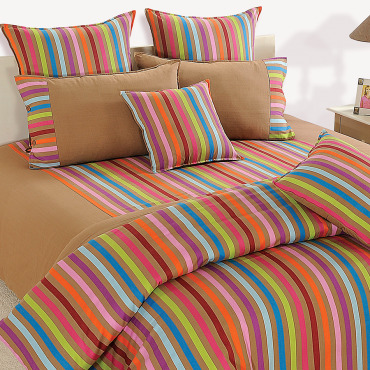 This bed sheet is also very easy to maintain. 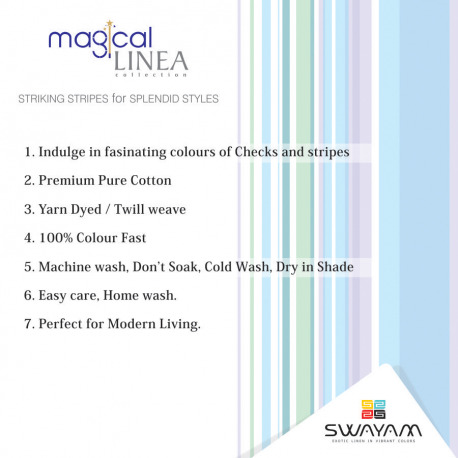 You can machine wash it at home and dry in shade. 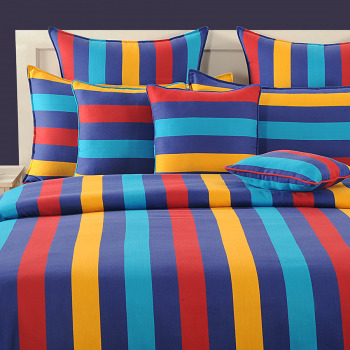 It is also 100% color fast. 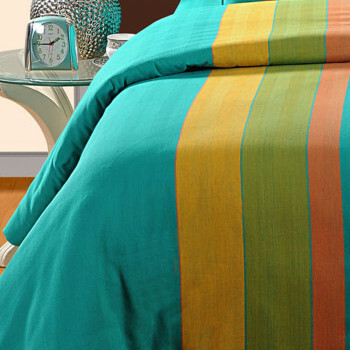 It will not lose its color even on repeated wash. 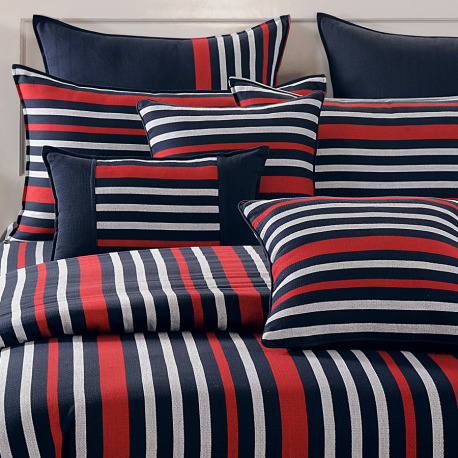 Such an American stripe design! !